An ideal POS Terminal PC as part of a POS System due to its' compact size or as a back office PC as it is certainly powerful enough. The small form Desktop / Tower case allows it to be installed either standing on its' side or lying flat. A powerful Intel Core i3 4130 Processor with 4 Gb of Ram with numerous PC peripheral ports and constructed in a small form Desktop / Tower case. Comes standard with a keyboard and mouse as well as Windows 7 / 10 Professional. Microsoft Windows 7 or 10 Professional comes pre-installed. 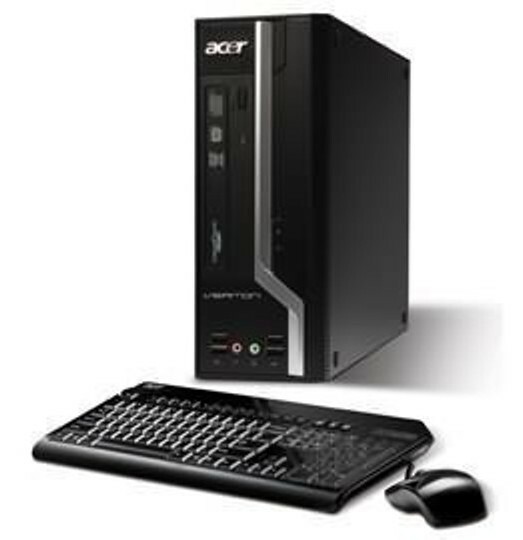 "Standard Configuration" The standard price shown refers to configuration as performed by Acer Australia. ie. as per new in the box, although Access POS will perform all Windows updates and configure administrator level Windows users which will allow you to install your own POS Software. A parallel port connector will also be installed to enable a POS Printer. PROSPA PAY Buy over 13 weekly payments of $ 107.69 (ex. GST). No Interest ever and No Fees if you pay on time. Contact Prospa Pay online at PROSPA PAY or call 1300 706 983 for a simple over the phone application. No obligation. SILVER CHEF Rent-Try-Buy. Rent from $ 17.77 (ex. GST) per week for a minimum of 12 months before you decide to either Buy (with 75% of prepaid rental being deducted from the original cash price), Upgrade or Return at no further obligation. Apply online at SILVER CHEF or call 1800 337 153 for a simple over the phone application. No obligation.